This 3-hour tour generally includes a walking tour of the ivy-covered grounds of historic Keeneland Race Course, home to the planet’s most expensive horse auctions. Take a peek into the thoroughbred horse lifestyle as you go behind the scenes to explore a thoroughbred farm and visit up close and personal with their famous horses. 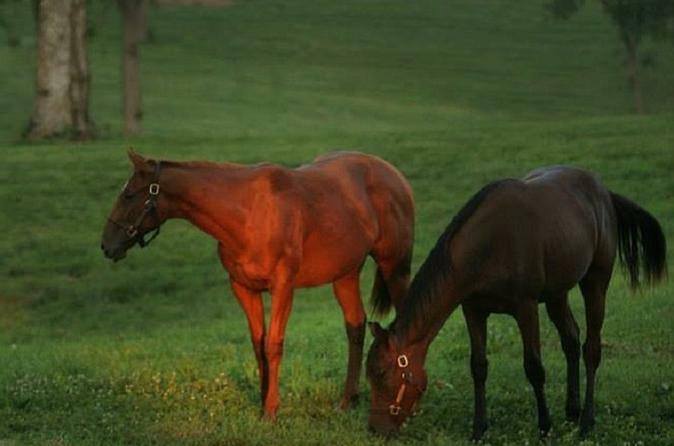 Take a drive by the famous Calumet Farm where you'll see and hear the history of the farm; home of a breeding and racing dynasty that dominated the sport of kings during the 1940’s, 1950’s and beyond. See where scenes from the major motion pictures Secretariat, Seabiscuit and Dreamer were filmed and then visit the grave site of a very famous race horse. Please note: During race meets in April and October (Wednesday through Sunday), 12:30 pm tours will visit an alternate venue in place of Keeneland.